Supercars.com runs the rule over the year that's been for the five drivers who enter the Coates Hire Newcastle 500 in mathematical title contention. 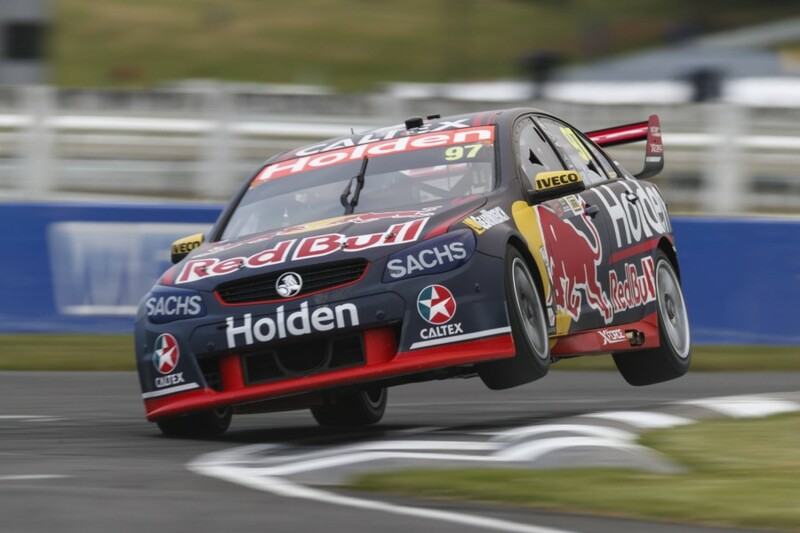 Red Bull Holden Racing Team driver leads by 30 points, chasing a seventh title. After proving the fastest man for much of last year but ultimately losing the title, Whincup’s 2017 has been defined by consistency and, as he calls it, “grinding it out” against the rapid Shell V-Power Fords. Three wins is his lowest tally in a season since his first year with Triple Eight in 2006 and a staggering 11 less than he’s averaged in each of his previous six title-winning campaigns. All three of those wins, however, have been crackers, none more so than Townsville in July, where he broke a 14-race winless streak and finally brought up his 105th career victory to equal the all-time win record, which he surpassed in Sydney the following month. 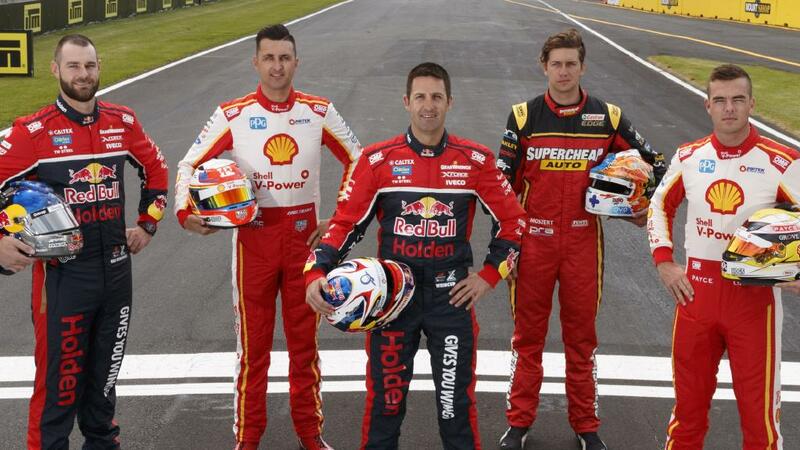 Beating Scott McLaughlin in a head-to-head fight in qualifying and the race on Sunday at Pukekohe was another big result but, if Whincup does win the title, Bathurst will be pointed to as where it was truly won. Pitting as soon as his car dropped a cylinder meant the engine could be patched up and the Commodore sent back out to score 90 crucial points, even if it was 37 laps down and 20th on the road. With McLaughlin out completely thanks to an engine problem of his own, it was a pivotal moment in the season-long fight. Shell V-Power Racing Ford driver has a 30-point deficit to overcome to win his maiden championship. 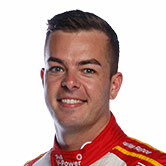 Quickly settling into his new team, McLaughlin has been the fastest man for the bulk of the season, recording a stunning 14 poles and 19 front-row starts – 18 of which came consecutively between Symmons Plains and Bathurst. Several hiccups at the start of the year cost vital points, including drive-throughs for weaving under Safety Car conditions on Saturday in Adelaide and a pitlane infringement on Saturday at Phillip Island, where he was also caught out on strategy in the Sunday race. 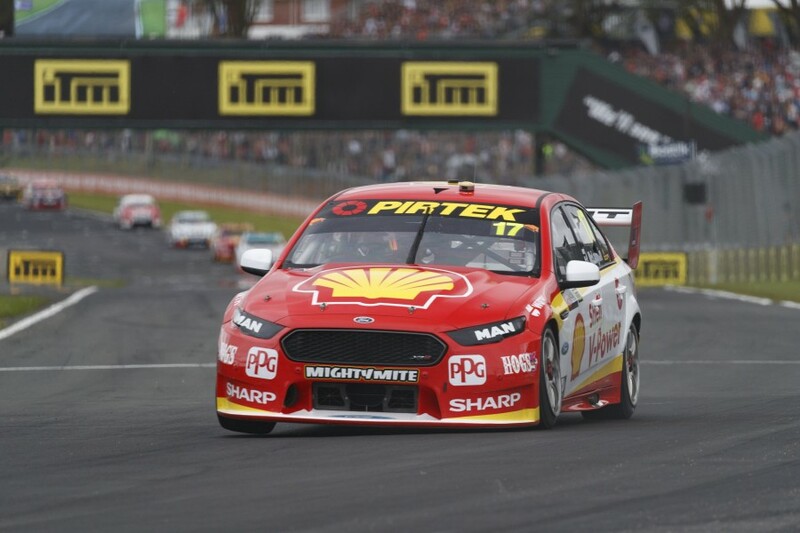 The immense pace of McLaughlin and his Ludo Lacroix-fettled Shell Ford meant he recovered to take the points lead by Townsville and, despite a hiccup in Sydney where he was penalised for a punt on Shane van Gisbergen, he headed into the enduros a runaway title favourite. Bathurst, however, brought his year’s biggest high with a stunning 2:03s pole lap before also delivering its greatest low. The team’s attempts to persist through engine trouble resulted in a DNF, putting him on the back foot ahead of the championship’s crucial stretch. He finished the PIRTEK Enduro Cup by turning around a tough Gold Coast weekend to win brilliantly on Sunday, lifting his season tally to seven wins, and will need more of that street-circuit magic this weekend in Newcastle to steal the title. 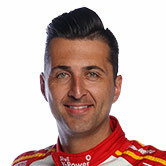 Shell V-Power Racing Ford driver led after Bathurst, but has slipped to outside contender since. Amid McLaughlin’s mixed start to the year, Coulthard impressed with a series of strong results including two wins, a pole and five front-row starts within the first seven races, allowing him to lead the standings between Phillip Island and Townsville. The Townsville weekend was a shocker, however, qualifying ninth and 12th for the two races and getting tangled up in early incidents both days, as his team-mate shot to two poles, two podiums and the points lead. 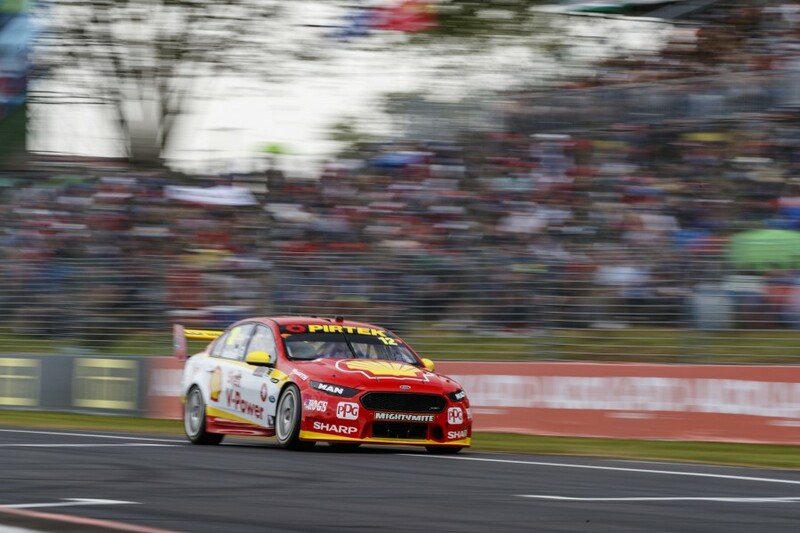 Qualifying has been Coulthard's major weakness against McLaughlin for the bulk of the year, failing to grace the front row since his pole for Race 7 in Perth. Consistency and a cautious drive to third at Bathurst allowed him to retake the points lead when Whincup and McLaughlin struck engine trouble at the Mountain, but the wheels fell off the Kiwi’s charge soon after. A costly collision with Nick Percat on the Gold Coast – where he qualified in the back half for both races – was followed by another incident at Pukekohe. The rollover on home turf spelt Coulthard’s only DNF of the season and rendered him an outsider for Newcastle. Supercheap Auto Ford driver enters the weekend a ‘mathematical possibility’, 264 adrift. After a winless 2016, a leaner and more focused Chaz Mostert emerged from the off-season armed with an ace up his sleeve – the return to Prodrive of engineer Adam De Borre, with whom he’d worked for all of his previous Supercars victories. 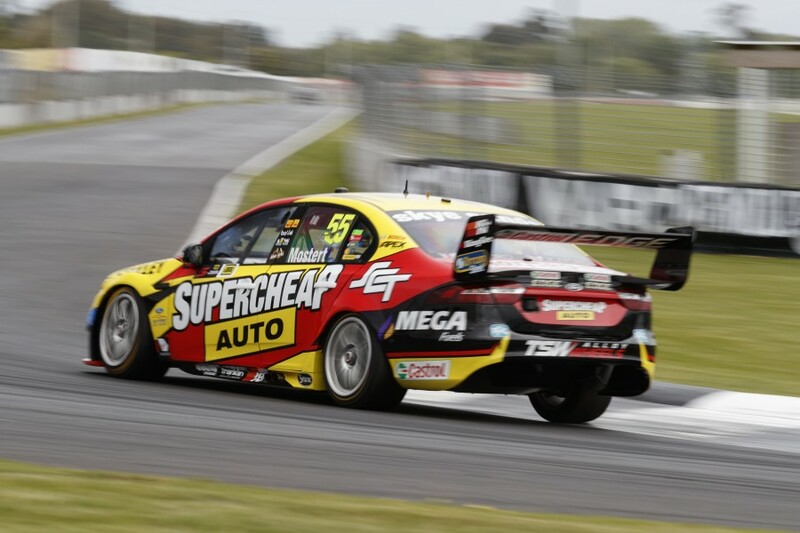 Although heading into the finale only a mathematical contender, Mostert has undoubtedly excelled this year, having been the only driver to prove a regular challenger to the Shell Ford and Red Bull Holden heavyweights. He took wins at Phillip Island, Ipswich and the Gold Coast, where he also broke a long pole drought. Mostert had proven a remarkably consistent front-runner in qualifying all year, without scoring the top spot. A gearbox failure while running second at Winton was a big early blow to his title chances, followed by a wayward Hidden Valley, where all four Prodrive entries struggled as they went in an aggressive set-up direction trying to catch the front-runners. Bathurst offered the best and worst from Mostert – driving sublimely in the wet before clanging into Garth Tander on a late restart. He climbed back into title contention with a brilliant Gold Coast before an incident at Pukekohe proved one too many, realistically ending his hopes. 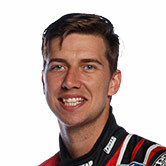 Red Bull Holden Racing Team driver's second-straight title would have to come from the clouds, trailing Whincup by 276. Van Gisbergen cemented himself as a red-hot favourite to score back-to-back titles with a double pole and two wins at the Adelaide season-opener, where he and engineer Grant McPherson had the field at their mercy, despite a pesky vibration. He took the flag first again in Race 3 at Symmons Plains (for which no points were awarded after a lengthy red flag), but has won just twice more since, scoring victories at Winton in May and Pukekohe last time out. Between those, van Gisbergen has been among the worst hit by 2017’s tyre failures, striking trouble at Phillip Island, Hidden Valley (where he appeared uncomfortable all weekend and clashed with Tander) and Sandown. The incident with McLaughlin in Sydney, where van Gisbergen breached the restart rules moments earlier, also proved costly, while his title hopes realistically ended in bizarre circumstances at Pukekohe when he ran into Tim Slade at pit entry. While van Gisbergen's wild races, which also included an electrifying, yet mistake-riddled Bathurst campaign, have hurt his points haul, the Kiwi's qualifying speed has been line-ball with Whincup's. Their head-to-head qualifying battle sits at 12:12 ahead of Newcastle. 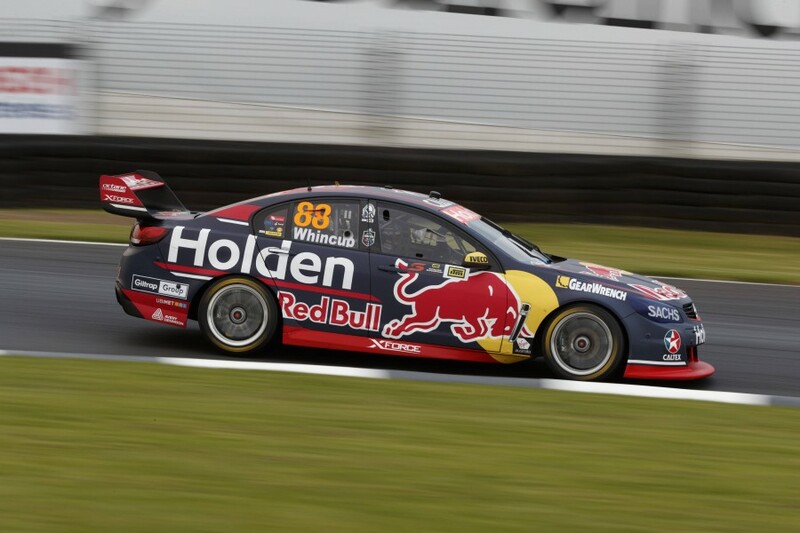 Van Gisbergen has three poles to Whincup's two, but is 0.2 behind on average qualifying position and has half as many front-row starts, with four comparing to the points leader's eight.